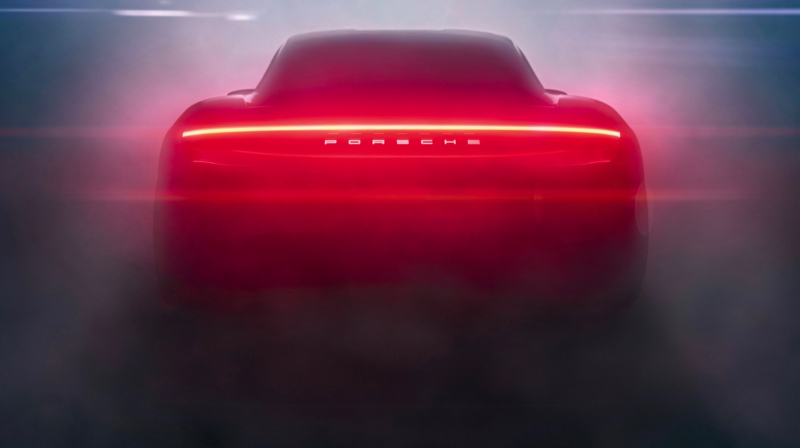 By 2025, around half of the new Porsche cars sold will be electrically-powered models, says Arthur Willmann, managing director of Porsche Asia Pacific. The vision is in line with the marque’s global plans announced in February last year. Porsche had unveiled that it will be investing more than €6b in electromobility by 2022, with a focus on plug-in hybrid and fully electric cars. The marque’s push into electric car terrain is its response to climate change, which has become a growing concern in recent years. According to the Greenhouse Gas Bulletin published by the United Nations’ World Meteorological Organisation in 2018, the amount of carbon dioxide trapped in the atmosphere reached a new record high last year. Carbon dioxide emission from cars is one of the main culprits of global warming. With its new strategy, Porsche is committed to combating climate change and meeting government-imposed emission regulations effectively. And while the electrification mission does sound ambitious, it is not at all far-fetched for a marque that is known to push its own limits. In fact, Porsche isn’t new to the electric game. Over a century ago, founder Ferdinand Porsche developed the Lohner-Porsche Semper Vivus, the world’s first fully-functioning hybrid car. The hefty single-seat ride was powered by two generators, which were connected to petrol engines, forming a charging unit. Fast forward to 2010, Porsche reignited its electric dreams and injected its modern hybrid technology into its motorsport racing cars. This resulted in the 911 GT3 R Hybrid, which had two electric motors and a 4.0L, flat-six petrol engine. Then came the 919 Hybrid prototype racer in 2014, which won the marque three 24 Hours of Le Mans trophies between 2015 and 2017, and its evolved version, the 919 Hybrid Evo. The latter was launched recently in April and is said to be faster than a Formula 1 car. For Porsche, the race track is where it tests its technological developments before introducing them into its road cars. Thomas Neumann, manager of electrical and electronic engineering e-mobility at Porsche said: “We believe in transferring the technology of our race-track cars to our road cars, so the track is where our technological innovations first see the light of day.” Elements of the 919 Hybrid’s driving technology, for instance, have made their way into the Cayenne E-Hybrid and Panamera 4 E-Hybrid. Last October, we had the opportunity to drive several of Porsche's latest plug-in hybrid cars at the Porsche E-Performance Nights, the region’s first night race track event held at the Sepang International Circuit in Kuala Lumpur. There, we hit the rain-soaked tarmac in a selection of the marque’s latest plug-in hybrid models including the 462hp Panamera 4 E-Hybrid and 680hp Panamera Turbo S E-Hybrid, both of which powered through the bends with confidence and emerged onto the straight with incredible speed. We also got a good sense of the new 3.0L bi-turbo V6 Cayenne E-Hybrid’s improved agility and stability as we took it through a slalom course. Then, there was the 918 Spyder. The plug-in hybrid coupe was heard before it could be seen, with its power and handling fulfilling its hypercar status. After putting on a racing helmet, we hopped into the passenger seat of the car with a professional race car driver behind the wheel. Off we went as the car emitted a spine-tingling roar, charging towards the first bend like a cheetah on a mission. Its wheels shrieked with joy as it made the turn before the thrilling soundtrack of the engine was heard again as the car tore down the next straight, hitting 225km/h at one point. If this performance was anything to go by, we’re excited for what else is to come in Porsche’s electric future. And we won’t have to wait too long—the marque will launch the Taycan, its first fully electric car, in 2019. The four-door car will sit between the 911 and Panamera in terms of size, and is just below the Panamera in terms of price. It will also feature two synchronous motors, just like the 919 Hybrid, and will match up to its petrol-engined predecessors with its own unique soundtrack. Watch the video below for what went down at the Porsche E-Performance Nights.